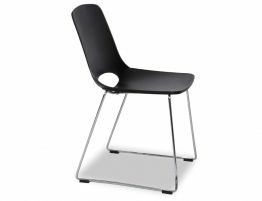 The right designer chair can completely change the look of your space. In black, the contemporary Wasowsky dining chair is bold, fun and offers the kind of lively energy that makes this contemporary kitchen dining chair a must have. 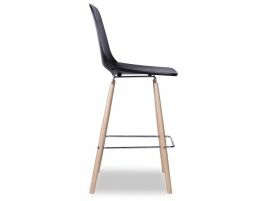 Bring some of that energy to your space with this dining chair whether you are looking for seating for a modern kitchen, your informal dining area or even your café or restaurant. 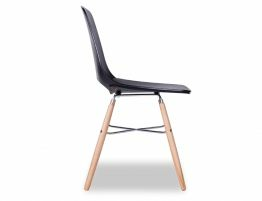 With a clean, modern form the Wasosky chair from Spanish design leaders Enrique Del Amo and Angel Marti offers us a mod black dining chair with an impressive design pedigree. 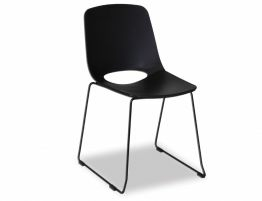 Built tough for even the busiest of dining spaces, this orange dining chair features a soft molded seat and back and a stable powder coated steel sled base. 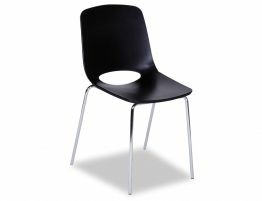 Great if you want to update the look of your kitchen with contemporary kitchen dining chairs. Or update your commercial dining chairs with a bold choice from Ooland.